AB-InBev are reducing the ABVs of some of their beers in the UK. Budweiser, Stella Artois, Beck’s are all going from 5% down to 4.8% in the on- and off-trade. Theyaren’t alone on this decision – Carlsberg Export and Cobra are doing the same. They say this is because of ‘market dynamics’, ‘evolving trends’ towards lower ABV beers, or for ‘refreshment’. But is that really the case? So how will these beers be made? You can be pretty certain that they won’t be brewing new versions of these beers to save the 0.2% in ABV, instead they’ll be brewed exactly the same and then they will ‘liquor back’ to the desired ABV (See: high gravity brewing). So as well as saving cash in duty, they will also be producing more volume from the same ingredients and brewing process so will have even more beer to sell. It’s not likely that any drinker will notice the difference in flavour. The more relevant thing to think about is the perception of the beers because these are flagship brands. At 5%, they have a premium association to them, so will this reduction see drinkers looking for another 5% beer or will they carry on drinking? And will other big brands follow and lower their ABVs? If so, are we seeing a massive change in lager in the UK? And does that mean more opportunities for quality keg beer and cask beer as drinkers move away from the global brands? These are some of the great beer brands of the world. Beer sales might be falling, bottom lines might be getting tighter, but seeing these beers cheapened is a real shame. The moment they started using HGB, shortened fermenting/laging times, etc. in order to "improve efficiency" is the moment those beers got cheapened. So, what's the difference now. And of course they won't pass on the savings...I expect they'd have increased the price if they didn't drop ABV, though of course they may still do that. The lager boys won't notice and won't care. 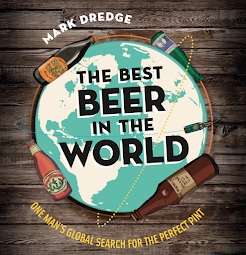 Great beer brands of the world? That's it - just brands stamped over mass produced rubbish. AIUI this has been done in response to reluctance from the major supermarkets to accept price increases. Once you add on VAT and mark-up, 2p a pint can easily become 15p on the selling price of a four-pack. There must come a point at which such reductions encounter consumer resistance, but if all the major brewers are doing it the consumer is left with nowhere else to go. The UK brewed Stella & Bud could be brewed to 4.8% and not watered. The Becks would likely be watered if still brewed in Germany, but Beck's Vier is brewed in "the EU"
The brands are now supermarket brands, and off trade pricing is more important than brand equity. The products are in the "cash cow" phase. Peroni is the new Stella in the on trade. Surely it is naive in the extreme to imagine that trends in the wider brewing industry will completely pass the "craft brewing" sector by. It's a big deal, I agree. when you consider the size of the beers and companies involved, it certainly points to some kind of pressure being released - either on gov'ment lobbies on ABV, or maybe falling sales. A big move, for sure. and - no matter what beer it is - it's always a shame to see a beer changed for reasons other than taste. Doug - Try and get me some of that High Gravity stuff! Are these some of the great beer brands of the world? Great in volume, sure, but who cares? They have been cheapened so long it doesn't matter anymore!